Considered one of Nature's masterpieces, the Okavango Delta offers visitors an insight into one of Africa's truly great wildernesses. 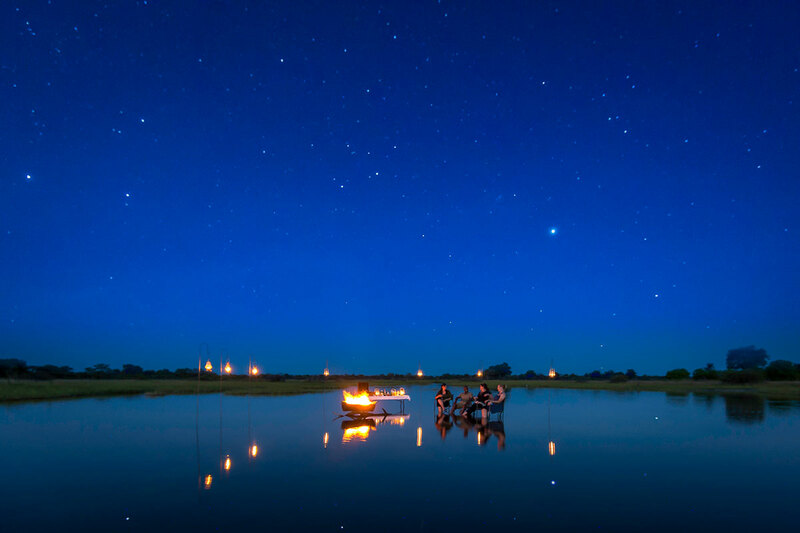 A World Heritage Site, this vast and virtually untouched freshwater wetland lies at the heart of Botswana's arid Kalahari Desert yet supports an abundance of wildlife within a setting of dazzling natural beauty. 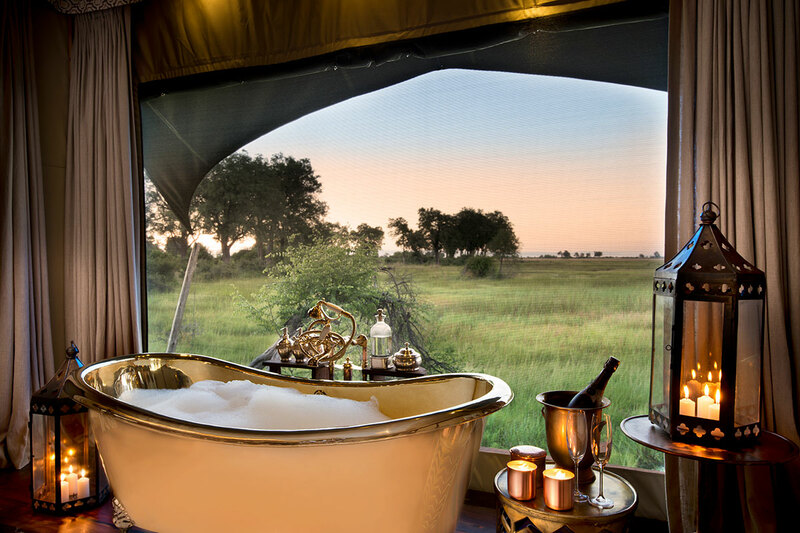 Protected in part by the Moremi Game Reserve and numerous private concessions, the Okavango Delta is home to huge numbers of plains game plus unusual antelope like puku, sitatunga and red lechwe. It is a world-famous stronghold for predators as well as many sought-after bird species like Pel’s fishing owl, bee-eaters and kingfishers. Nowhere else in the world can you experience the sublime serenity of being poled along in a traditional dugout canoe as birds like jacanas and herons walk among the lilies, elephants arrive to feed on the soft grass and sitatunga antelope retreat shyly into the reeds. 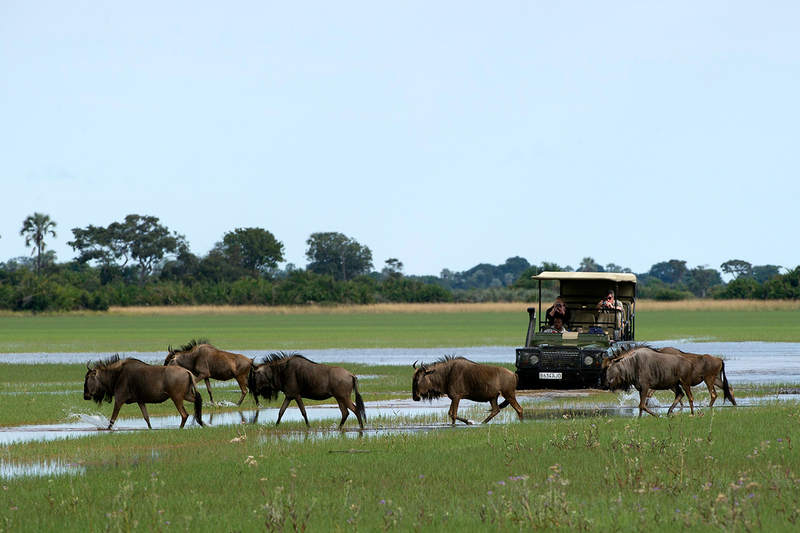 Leaving the 4x4 game-vehicle behind opens up the world’s most unspoilt wetland to be explored by mokoro or motor boat. Seasonal water levels will be for mokoro rides and boating activities. Look out for tiny painted reed frogs and dazzling dragonflies. Unusually tall termite mounds and baobabs that escape the floodwaters. A unique activity available nowhere else in Africa for a select number of guests. Botswana has some of the continent’s toughest conservation rules: all lodges must be able to be disassembled in 24 hours and not leave a trace behind. Despite this, the accommodation is superb and highly creative. Mostly constructed from timber, many lodges are raised on stilts to cope with the varying water levels, giving you gorgeous views over the Delta. Some camps have only three or four suites, making them very private. Romance is provided by 4-poster beds, outdoor bathtubs and private plunge pools. For a special experience, spend the night in a sky bed that is open to the stars. Fly in via light aircraft to private airstrips in the Delta. Unfenced camps allow wildlife to wander through. "Luxury and Excellent Customer Service"
We had a wonderful holiday that was seamless from one destination to the next. Very good planning of air transfers between camps in Botswana - beautiful Jack’s Camp and Seba Camp. Luxury and excellent customer service. Food was really exceptional. There are several legendary private concessions – like Jao Plains, Abu, Nxabega, Khwai and Kwando – that are not open to the public but to guests only. Expect low visitor numbers, very few vehicles and an unhurried approach to sightings. Camps are very well spaced and offer some of the purest game viewing in the most pristine conditions anywhere in the world. Look out for rare species like sable and roan antelope as well as honey badgers if you’re very lucky! Night drives are permitted so you may see lions hunting and nocturnal animals like porcupine, aardvark, genet, civet and owls. Go on guided nature walks to get closer to the smaller fauna and flora. Experienced guides will go off-road to get you closer to sightings and kills. One of the top destinations to see leopards. 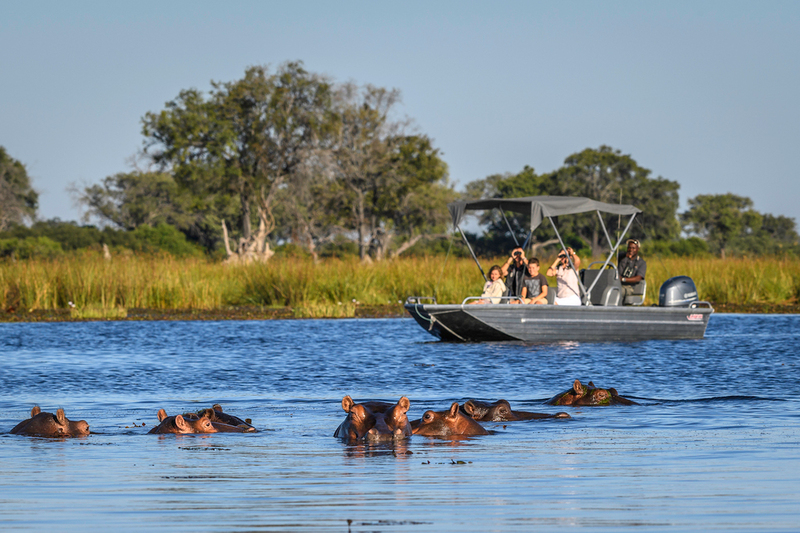 The Okavango Delta truly offers something for everyone. First-timers will have a mind-blowing safari that surpasses their expectations but even seasoned safari-goers will not be left disappointed. Because there is so much to do, the Okavango is perfect for multi-generational families. Game drives, birding, boating, mokoro rides and nature walks. Catch-and-release fishing, village visits and photography hides. First-timers will enjoy a gentle introduction to Africa with great logistics. Returning safari lovers can go to more remote areas seldom explored by others. Yet despite its wild nature, the Okavango Delta is surprisingly accessible and can be combined with other spectacular African destinations. 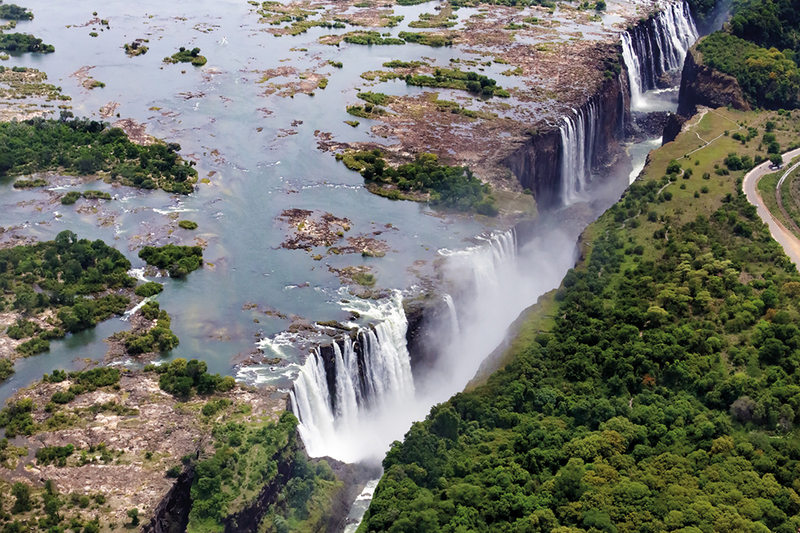 Victoria Falls (Zimbabwe and Zambia) for canoe or raft river cruising adventures. Chobe National Park and Savuti (Botswana) to witness Africa's elephant paradise up-close. Cape Town and the Kruger National Park (South Africa) to witness the Big 5 Safari and spectacular winelands.